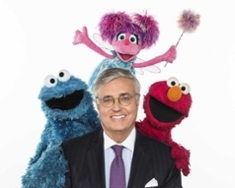 Jeffrey D. Dunn presently serves as President and Chief Executive Officer of Sesame Workshop, the nonprofit educational organization behind the iconic educational television show Sesame Street. Founded in 1968, the mission of Sesame Workshop is to help children everywhere grow smarter, stronger, and kinder. Dunn directs the Workshop’s global efforts around Sesame Street’s media presence as well as its targeted social impact and research initiatives that address a wide range of issues for children and families around the world. Sesame Street is available in over 150 countries around the world. He joined the organization in the fall of 2014 as its 5th CEO and the first outsider to lead the Workshop. Under Dunn’s leadership, the Workshop ended eight years of operating losses, has won 13 Day Time and 2 Prime Time Emmy awards, was awarded a Smithsonian Institute Ingenuity Award in 2017, was named in 2018 to Fast Company’s most innovative companies list, won the first-ever Clio for Global Impact and the MacArthur Foundation’s inaugural 100&Change grant competition. Prior to joining Sesame, Dunn served as a 2014 Advanced Leadership Initiative Fellow at Harvard University. Before that, he was President and CEO of HiT Entertainment, from 2008 until 2012. Prior to leading HiT, Dunn was COO of the Nickelodeon Networks group and President of Nickelodeon Film and Enterprises. Before Nickelodeon, Dunn ran marketing for The Bank of Boston. He began his career at Time Magazine in marketing and general management positions. Dunn graduated with honors from Harvard College and received his MBA from Harvard Graduate School of Business Administration, where he was named one of the top leaders of his class.